Mr. Maccido is an accomplished Corporate and Investment banker with over 31 years post graduate experience; 26 of which were in the financial services industry. He commenced his career at Ecobank Nigeria Plc and steadily rose through the ranks within the banking industry culminating in his appointment as Executive Director in charge of Retail banking at First Bank of Nigeria Limited. With the change in the structure of the First bank Group to a financial holding company in 2012, Mr Maccido subsequently became the pioneer Group CEO of FBN Holdings PLC. During the course of his career, he was also the pioneer CEO of Legacy Pension Managers Limited (now FCMB Pension), a pension administration company, during which period he took the company through financial breakeven to operating profitability. He had, at different times, served on the Boards of FBN Holdings Plc, First Bank of Nigeria Plc and Legacy Pension Manager Limited and is currently the Chairman, FBNQuest Merchant Bank Ltd, the investment banking arm of FBN Group. Mr. Maccido is a Fellow of both the Chartered Institute of Stockbrokers and the Chartered Institute of Bankers of Nigeria. 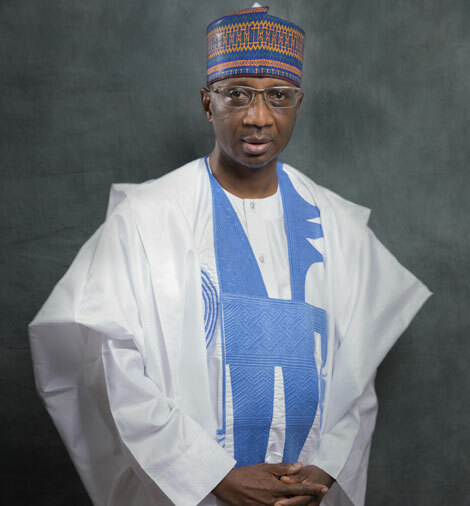 He holds a Law Degree (LL.B), and a Masters Degree in Business Administration (MBA) from Ahmadu Bello University, Zaria and Wayne State University, Detroit, Michigan, USA respectively. He is a Barrister at Law (BL) of the Supreme Court of Nigeria and an Alumnus of the Executive Business Programs of the Harvard Business School, The Wharton School, INSEAD Business School, Fontainebleau, France and IMD, Lausanne, Switzerland.